Multilayer ceramic capacitors with heat resistant resin encapsulation available for under the bonnet automotive applications. 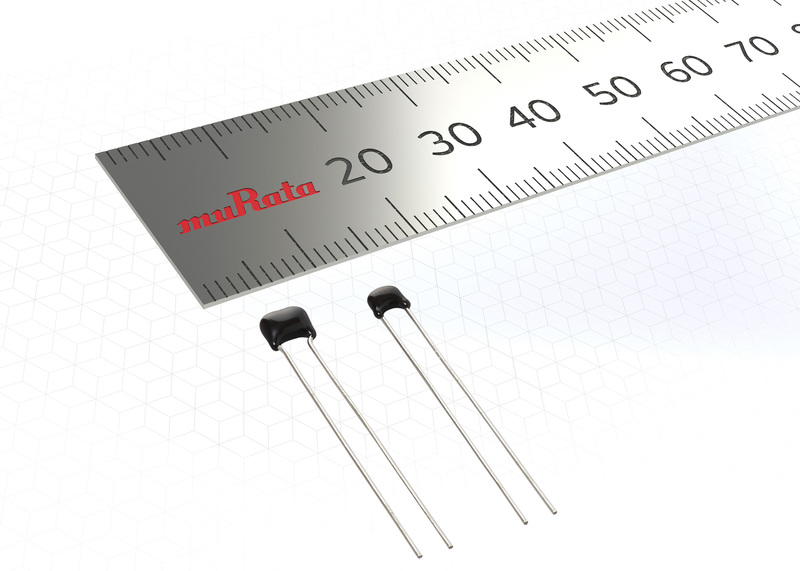 Murata’s RHS series of lead type multilayer ceramic capacitors for automobile use at maximum usage temperature of 200°C is now in stock in Europe at TTI. The products have been developed for use in equipment located in severe temperature environments such as the engine compartment of an vehicle. The high temperature rating has been achieved by applying a coating of newly developed heat resistant resin around the highly heat resistant multilayer ceramic capacitor. RHS series MLCCs are currently available with a rated voltage of 100Vdc and 250Vdc. This range is expected to be expanded soon by Murata. The products comply with the AEC-Q200 standard and therefore the lead wire type capacitor can be connected by welding or crimping close to a noise generating source. The extreme surge test of the ISO7637-2 standard has also been passed by the capacitors.